Nature is starting to expose itself again. 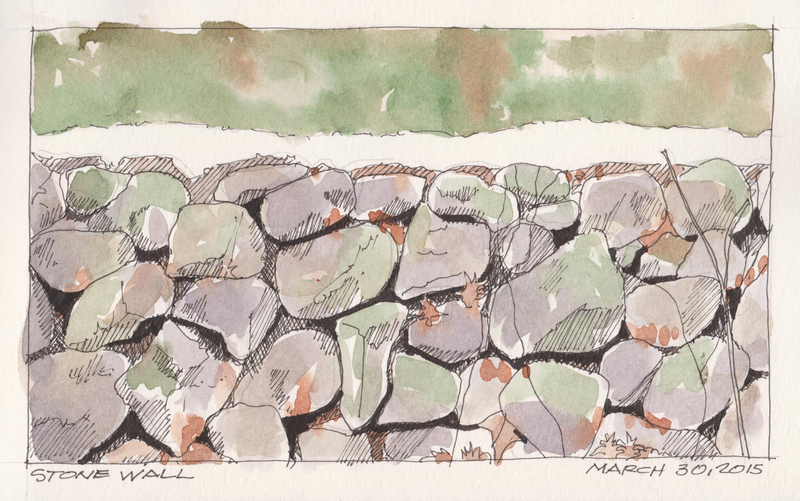 This stone wall is on our back property line and the only snow left is on the top of the wall. The details are starting to emerge. The fall leaves, moss and lichen, and the deep shadows between the stones. Faber-Castell Pitt pens with Daniel Smith Watercolors in a 6″ x 8″ Moleskine Watercolors Sketchbook.